COMMENTS: Used this in our cuticle and the customers love it!! COMMENTS: The perfect superfat for my soaps :-D thanks WSP! COMMENTS: Mango butter is a must have in my inventory. I used it in two of my soaps, lotion bars, and its the big different in my bath bombs. I love it almost as much as cocoa butter. COMMENTS: The mango butter is perfect for my lotions and soaps. COMMENTS: This Mango Butter is a must on DIY lotions, body butters & creams! COMMENTS: I used this as my butter of choice for shampoo bars. I'm very pleased of the turnout. COMMENTS: I was under the impression (even though it says no scent) that it would be a hint of mango but no.It doesn't have any scent. That's good for any FOs you use in your products. It is a bit of a heavy butter. Even the Shea butter I use doesn't seem as heavy as the Mango. So I never have to use very much of it to have it felt throughout the product. COMMENTS: A little softer in consistency than cocoa butter, this is an excellent butter to use alone or in conjunction with other butters for various skin-loving projects! Feels incredible, and melts beautifully into the skin for a smooth, moisturized feel! I really love how this butter smells! It's not a strong odor, but it definitely has a beautiful organic-sweetness to it, and there's no doubt it's mango! What I loved about this butter though, was that even though it does smell delightfully wholesome, it didn't compete or interfere with the FO I used when making solid lotion bars AT ALL (not that I would have minded though- I really enjoyed the scent regardless). I'd definitely purchase this butter again for future projects... In leave-on products, it feels AMAZING in application! COMMENTS: Feels amazing in my sugar scrubs. Skin is so nice and soft. Definitely recommend purchasing this product. COMMENTS: I have put this in my soaps, lotions and creams. Love the feeling and smell of it! I'm not sure what I thought a pound would look like but this is way more than I thought and has went a long way! COMMENTS: I decided to switch up bases and so glad I did, this is amazing and works great in my lotion bar s. Not too soft but not too hard, very easy to work with! COMMENTS: My son has eczema and mango butter is my saving grace for him. COMMENTS: Melted down and Blended well. "Love Love Love Mango Butter! " "I love how moisturizing this feels"
COMMENTS: I used mango butter in several of my products. Always makes my product feel more moisturizing. COMMENTS: I use the mango butter for my customers who have nut allergies. Works just as amazingly as shea butter. very soft and manageable melted down or as is. Odor is very mild and almost unnoticeable. Will purchase again. COMMENTS: Loved everything about this particular mango butter. smooth, melts nicely. COMMENTS: Love how my triple butter soap turned out. The mango butter was easy to work with. COMMENTS: Super nice Mango Butter! I use it in sugar scrubs and soaps. My my , what a lovely texture it gives! Thank you! COMMENTS: I won't make body butter without mango butter! Even without tapioca starch, it's not nearly as greasy as shea! It whips beautifully, without melting, so I never have trouble with graininess. COMMENTS: What can you say, I just love mango butter and enjoy the smell. Will definitely purchase again. "No need to worry "
• Would love a 2lb solid block. COMMENTS: This is the best mango butter I've ever purchased. It melts smoothly and even has a slight mango scent. Love it. Feels so silky on the skin. "only mango butter I use"
COMMENTS: I've had others that smell "off". Not this one. I have some in my stash that is kinda old, and its still good to use. "Best Mango butter on the market!!" COMMENTS: I will never try another company again!! WSP offers the highest quality mango butter I've come across. This is a must have for my body butters!! Not grainy at all very smooth. It has a light scent which is easily masked by any fragrance. I plan on buying the next size up from now on. It's that good. • More for the price would be awesome! 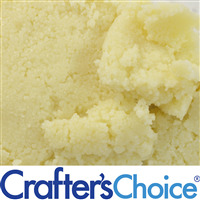 COMMENTS: I’m so glad I chose wholesale supplies plus for my mango butter! Best quality I’ve purchased so far and I will always make this my priority retailer! 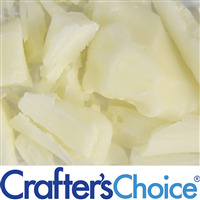 COMMENTS: This luscious butter is a great addition to our CP soaps and lotions. It's so rich and leaves skin soft and smooth! Highly recommend! COMMENTS: This product is amazing. I was looking for somethig to give my cold process bars the extra touch of moisture they needed, and this is it! Will definitely be purchasing more! 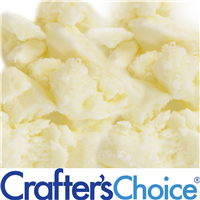 "Crafters Choice™ Mango Butter - Refined"
COMMENTS: Crafters Choice™ Mango Butter - Refined -- I have found this mango butter to be very high quality. Smells wonderful! Melts nice and even and cools down very slowly. Just perfect! COMMENTS: I like that I can buy small quantities and not break the bank! COMMENTS: Love mango butter from WSP always seems to work better in my products than other brands , great quality for price. COMMENTS: Customers really like the feel of this butter. COMMENTS: This mango butter had a great appearance, smell, and did well in my cold process soap and lotions. Recommended! COMMENTS: I use this in my Cold Process Soaps & Body Butters. I make a magnesium plus msm body butter & this is nice & moisturizing without feeling greasy. Great product. COMMENTS: Can’t say enough about how much I love this butter! Rich and creamy! It’s amazing ! I use it for my body butters, cps, hps, bathbombs, lip balm. COMMENTS: I love how this product melts into the skin once you whip it and put it into the jar. It doesn't stay greasy for very long and absorbed into the skin very quickly. Very much worth the price! COMMENTS: I used this as an alternative to shea butter in some of my products because a few of my customers are allergic to shea. This mango butter is really soft and easy to measure. It blends well in all of my creations and provides a smooth creamy texture. The smell is very light and does not overpower any unscented lotions or body butters. I only wish that the 1lb option came in a bucket. Since this is so creamy, and I live in a warm humid climate, it can spread all over the bag as you are trying to get it out. COMMENTS: This is lovely! Easy to use, appropriately-priced, and lovely! I appreciate how many different kinds of additives are available for me to sample at WSP. COMMENTS: Great quality and value. Offers a sulky feel to my whipped body body formula. Love it! 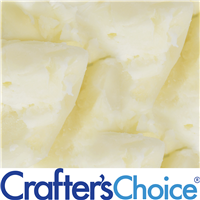 "Crafters Choice™ Mango Butter - Refined "
COMMENTS: I love this Mango Butter, in fact, I wouldn't make my CP soap without it, it gives a moisturizing feel to my products and I wouldn't feel comfortable leaving it out of my products, so when ever I run out I come to WSP to order more. COMMENTS: I use this in my lip balms and I absolutely love it. There is no strong odor so you can use any other fragrance with it. COMMENTS: This is definitely the creamiest mango butter! Other companies' mango butter is more "grainy". I love WSP! "great but smells like lard"
COMMENTS: nice and creamy but it does smell a little off to me. COMMENTS: This is in small to medium chunks that makes it easier to measure and weigh. I use this for cold process soap. COMMENTS: I absolutely love this mango butter. Glides on smooth and absorbs quickly into the skin. I add it to as many formulations as possible and the reviews are always outstanding! COMMENTS: I purchased the Mango Butter from WSP because it was out of stock with my usual supplier. I am so glad I did. I love that it was in a reclosable bag versus a jar. So much easier to work with. This butter was perfect, not too hard and melted quickly and evenly, no lumps or graininess. Will definitely buy the 5lb bag going forward. COMMENTS: I love this product. COMMENTS: Love the end result very time! COMMENTS: I recently began using this in body butters and it is really awesome. It has almost no scent, and is soft and easy to work with. COMMENTS: Great addition in cuticle cream. COMMENTS: I have been using this in body scrubs and have not had any issues with it melting. No nasty bits in the butter when melted either. COMMENTS: I use this in my body butter. It adds lots of creaminess to my bars. "Will be buying from here"
COMMENTS: Great quality, works well . COMMENTS: It's great, good to work in soaps. In love with this product. "An excellent non greasy luscious Butter!" COMMENTS: Makes nice products that customers love! Keep it up! "Love the Feel in CP soap"
COMMENTS: My customers ask for my soap with mango butter; they say it feels great. It sells well. Good quality. COMMENTS: Mango butter is a solid at room temperature. I mixed it with other oils to make a facial lotion. Very soft texture. COMMENTS: I love mango butter, it's a little temperamental, and have found to not heat it up to hot or it will go grainy on you. But it's one of my favorite butters to work with. The feel of this is so creamy and smooth by itself, i think it adds a great feel to my products. COMMENTS: I love this butter soft but manageable. I used it in melt and pour and the soap stayed hard and moistening . COMMENTS: I like the softness of this butter. Unscented so holds other scents well. I pair it with other butters too. COMMENTS: I really liked how the mango butter performed in lip balm. "I'd give 5 stars but..."
COMMENTS: One of my favorite butters. Mango butter is such a lovely ingredient to add to nearly everything I make and for good reason WSP's is of excellent quality. "I love this mango butter"
COMMENTS: This product is smooth and translates well into lotion bars, lotions and scrubs. COMMENTS: I love it, expected more of a mango scent but it's pretty much odorless. COMMENTS: This Mango Butter was really good to work with in my body butters. I was very creamy and moisturizing my customers really loved it. COMMENTS: Nicely Packaged, fine quality, and affordable! Smells wonderful. COMMENTS: This is a great butter to add to your body butters and any skin smoothing diy project. I would love to try this unrefined but am completely loving the refined thus far. It was a great addition to my herbal body butters. COMMENTS: THis is the best price I have found on this superior grade of mango butter! Way to go WSP! COMMENTS: Love it. The bag is great. COMMENTS: I purchased a sample kit of butters and this one came in the kit. Looking forward to trying it out on a blended butter. COMMENTS: i love wsp butters this is such a grate butter for my body butter would definitely recommend this !!! rich creamy skin loving !! COMMENTS: I love that I can make body butter with the mango butter and not have to melt all the oils. COMMENTS: I use this in my Bath Fizzies with the Mango/Papaya fragrance and I cannot make them fast enough for customers. I love them as much as they do. COMMENTS: I love using mango butter in natural deodorants and lip balms! Doesn't leave a greasy feel. COMMENTS: This was purchased for use in body butter blends. I'm going to experiment a bit with it for other uses as well. "great source of mango butter"
COMMENTS: great butter. very useful. melts easy. adds color! COMMENTS: Easy to use and measure, works well in all of my products. Excellent in whipped body butter. Will purchase again. "Great addition to body butter"
COMMENTS: This mango butter is so amazing on it's own and makes a great addition to so many recipes. I have even used this on it's own on my lips as a lip balm and it works really well. "Mango Butter for Body Butter"
COMMENTS: I loved the mango butter! It worked perfectly in my triple butter body butter, very nice texture. COMMENTS: I really enjoyed working with this mango butter. I used it in a variety of homemade products for myself and friends and family. I like how it's not too greasy and absorbs into your skin quickly. "Feels so good in my lotions!" COMMENTS: This was a wonderful addition to my lotion bars. Smell is very neutral and did not interfere with my fragrances. It feels amazing and I have gotten nothing but compliments on my product. It had such a great texture after blended with my other butters and oils, but was not really grainy before melting like some mango butter. COMMENTS: I use this butter mainly in my CP soap. Melts down easy and fast, no odor, and definitely makes a difference I can feel in my soaps. Will definitely buy this again. COMMENTS: Love the quality of this butter and the smaller size option for small batch product. COMMENTS: Good quality mango butter. I use these butter a lot in my homemade body butter products. COMMENTS: Melts so easily in the microwave. Used in my bath cookies. COMMENTS: Nice to work with butter without much of a smell. COMMENTS: I love how moisturizing this feels on the skin. Soothing and Smoothing. Great in lip balms, body butters and body scrubs. I'm going to try in my MP soaps next! COMMENTS: I like mango because it is familiar to many of my customers and I have not heard anyone say that they have allergies to this product. Mango is easy to work with and it is not quite as sticky as shea butter. I also use mango directly on my skin and hair and find that it has easy spread and adds a good slip when integrated into mixtures. COMMENTS: First time I've tried this butter and I'm in love! Feels dry on the skin and is super moisturizing. COMMENTS: I use this is cuticle oil and in my facial bar. It's wonderful. Highly recommend. COMMENTS: I use this mango butter only for my triple butter body butter and I love how easy it is to work with, it cuts into easily, especially considering other brands I've bought from other companies, I'm so much more happy with this project, I won't buy it from anyone else, very light fragrance crumbs apart and mixes well with a hand mixer. COMMENTS: Easy to work with and use. Firm and easy to cut. Melts at body temp. Behaved well in making CP batter. Pleasant smell. Only issue is packaging. COMMENTS: Just love the quality of these butters ! The mango butter has a fresh smell - just love it ! COMMENTS: I love this butter for my lotion bars. There is a scent that comes with it (natural, but need to mask it a bit with fragrance). COMMENTS: What I love about WSP's Mango Butter is the high quality of it and how wonderful it makes all my products. Adds creaminess, moisturizing and feels like silk. I absolutely have to have this for all my B&B products! Please don't ever stop carrying your wonderful Mango Butter. As far as not likes... I have none!!! • Best Quality Mango Butter on the Market! • Would not change a thing! COMMENTS: Great product. Blends well with other butters. Great quality for recipes. • Mild clay like smell. COMMENTS: The product seems to be of good quality I use mango butter in many of my products have not had any issues. The packaging allows me to take out what I need with ease and reseal for freshness. "Best Product I have purchased"
COMMENTS: This is the best Mango Butter I have ever used. I will be purchasing it again. COMMENTS: Perfect for special blends of tropical inspired moisturizing lotions and lotion bars. COMMENTS: I use in all my cp soap recipes and live the silky feel it creates. COMMENTS: bought this to make some lip scrubs but loved it so much I made some deeply hydrating body butter. "Perfect for the dry weather"
COMMENTS: Love this butter for my winter line up. Skin loving goodness in lotion bar and soap. Great product, a must for the season. COMMENTS: I have used this product for years to make my "Whipped Mango Butter", I will not use mango butter from any other company! COMMENTS: I've made CP soaps with Mango Butter, but my favorite use is in lotion bars. Gives a nice texture. COMMENTS: Love his product. I put it in soaps and lotions. Very creamy and moisturizing. I keep it in stock. COMMENTS: Very creamy texture, solid at room temperature but I could crumble it up. It wasn't rock hard like some I bought from another company previously. Melted in my oils very easily. COMMENTS: I use this butter in my lotion and it makes it so creamy and silky soft. COMMENTS: I've used this Mango Butter for over a year in my soaps. I love they way it makes my soaps more moisturizing. When rubbed on the skin, it doesn't leave much of a greasy feeling behind... soaks right in! COMMENTS: Good quality butter love what it does for my soap. "Mango Butter | Hair & Skin"
COMMENTS: I love this butter, it is full of powerful fatty acids for hair & skin! I also like that I can order different bulk sizes at anytime! COMMENTS: Very useful butter with a variety of beauty products. Creamy and cuts well with a knife to measure into melting pot. Comes in a bag with an opening large enough to accommodate my gloved hand. Rubs into my skin easily; does not feel overly greasy. This will remain a staple in my oils/butter collection. "Love this in all my products"
COMMENTS: No smell and easy to use. COMMENTS: I love the quality of this mango butter. It creates a light, creamy, and fluffy lather in my soap!!! I will be buying this again. "Wonderful addition to my bath bombs." COMMENTS: Melted and mixed well in my bath bombs. I did not have any trouble making my bath bombs and my customers raved about how soft their skin felt after their bath. I will and did purchase this product again. COMMENTS: Great product! I will definitely be ordering this mango butter again. Perfect for my bath bombs. COMMENTS: I love the feel mango butter gives to lotions and soaps. COMMENTS: I love this I only wish it was unrefined! COMMENTS: This is very high quality mango butter! I would not buy it anywhere else but here! COMMENTS: This product was just perfect! I used it to make body butter, which turned out amazing. The price point is also wonderful!! COMMENTS: Great quality mango butter that I use in soaps and sometimes lip balm. COMMENTS: I love the mango butter from WSP, it gives my recipe that little something extra. COMMENTS: I've purchased from other suppliers in the past, but when i purchased from WSP, there was a difference, I can feel the difference. It is smooth and silky feeling. I love it. COMMENTS: I use this in my bath bombs and love it. COMMENTS: This mango butter is great. Almost no smell. Highly recommend. COMMENTS: Love this in my Lip Balm and lotion bars! COMMENTS: I really liked the way the Mango Butter made my soap feel. It felt richer, creamier, and moisturized my skin well.Just using it plain on my skin, it absorbed well. COMMENTS: Is a must to buy definetely a very good investment, worth it! a Real Deal! COMMENTS: I love using this in my body butters. Not too greasy, melts easily and works wonders on the skin. COMMENTS: So I like the product, it was very clean and melted well in my products. It was a pain in the neck getting it out of that bag and you up with butter all on your knuckles, but good product. WSP Response: Thanks you for your feedback about our packaging we will pass on your suggestion to our packaging department. COMMENTS: Excellent for use in body butters!